Darrell Eugene Cowsert, 54, Kokomo, passed away at 7:08 p.m. on Wednesday, October 24, 2018, at his home. He was born December 23, 1963, in Kokomo, to Gerald and Dora Anna Ruth (Scott) Cowsert. Darrell had worked at Applebee’s and Chi Chi’s. He was a huge Dallas Cowboys and University of Kentucky fan. 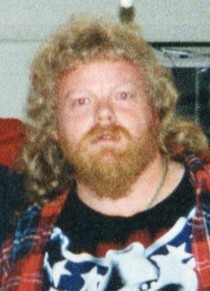 He was a collector of many things, enjoyed playing fantasy baseball and was a pro-wrestling fan. He is survived by his half-sister, Nancy (Kenneth) Clem, Pathfork, Kentucky; aunt, Sandy Cowsert, Kokomo; niece and nephew, Kendyl Clem, Pathfork, Kentucky, and Kendra (Eric) Partin, Middlesboro, Kentucky; great-nephew, Landon Partin, Middlesboro, Kentucky; best friend, Duane Buckner, Russiaville; and several cousins. A memorial service will be held at 6 p.m. on Wednesday, November 7, 2018, at Shirley & Stout Funeral Home, 1315 W. Lincoln Rd., Kokomo. Burial will take place at a later date in Albright Cemetery. Friends are invited to visit with the family from 4 to 6 p.m. on Wednesday at the funeral home. Messages of condolence may be left online at www.shirleyandstout.com.